Click here for the PDF transcription of the 1936 Telephone Directory (sorted by subscriber). Click here for the PDF transcription of the 1936 Telephone Directory (sorted by phone number). Click here for the EXCEL datasheet of the 1936 Telephone Directory (sorted by subscriber). Click here for the EXCEL datasheet of the 1936 Telephone Directory (sorted by phone number). Click here for the PDF original copy of the 1936 Telephone Directory (sorted by subscriber). Telephone No. 1: Dr. Nathan A. Getzler, graduated from the University of Vienna in dermatology in the year 1922. He spent the Holocaust years in Czernowitz and published his testimony "Diary pages from Czernowitz and Transnistrien" in Hugo Gold's "History of the Jews in the Bukowina". After WW2 and emigration to Canada, he became honorary consultant in dermatology at the Royal Victoria Hospital in Montreal and senior member of the Canadian Medical Association. 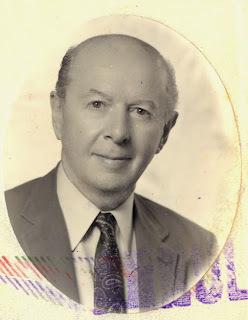 He died June 17, 1981 at the age of 84, survived by his wife Dr. Ernestine Getzler, son-in-law Herman Glanz and grandsons Anthony and Ralph Glanz. Telephone No. 1200: Dr. Otto Fokschaner, born in 1903, became associate in the attorney's office of his father Dr. Max Fokschaner, a philantropist and former parliamentarian, who represented the interests of the Jewish population in Bukovina. In the mid 1930s he took over the running of the law firm. Otto Fokschaner served as a sub-lieutenant in the Romanian military reserves and was attached to an artillery regiment. In 1939 he was dismissed from the army in line with the decree that all Jewish officers were removed from their posts. 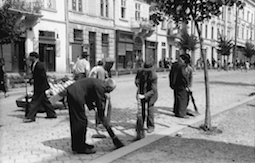 In 1940 Czernowitz was annexed by the USSR and the family was forced to flee overnight and seek refuge in Bucharest where they lived until 1941 when they emigrated to Israel. The family obtained Palestinian citizenship in 1946. At some point the family moved to the UK as Otto Fokschaner was living in London in 1999. 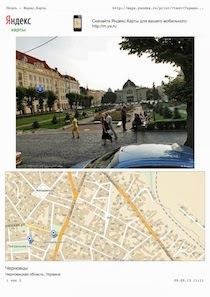 The Fokschaner family can be traced back to the 19th century in Czernowitz. For more details see the Fokschaner Family Personal Papers, 1886-1999, held by The Wiener Library in London. This information is really worthy and please provide me some new content along with best bookmarking sites .. and please keep posting more information.